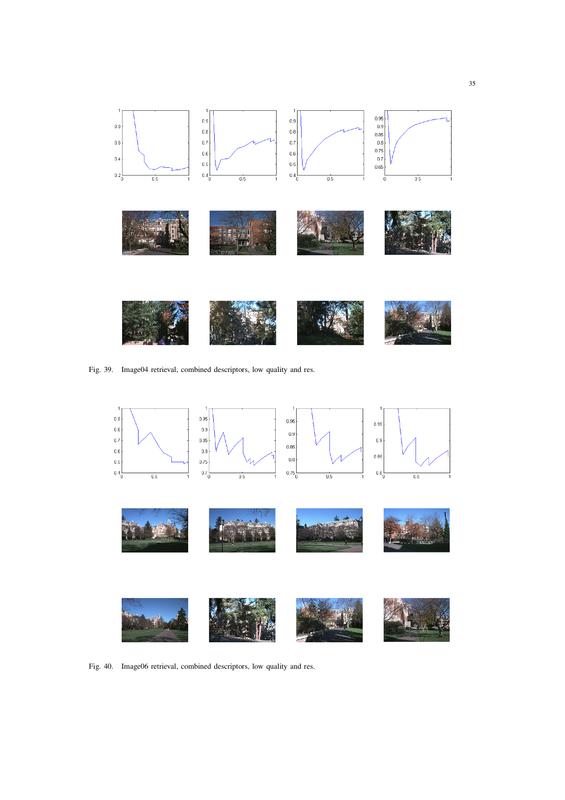 I’ve put up my University final year project (Scalable Visual Descriptors for Content Based Image Retrieval), which I wrote in LaTeX. Please keep in mind that this was written in early 2007. 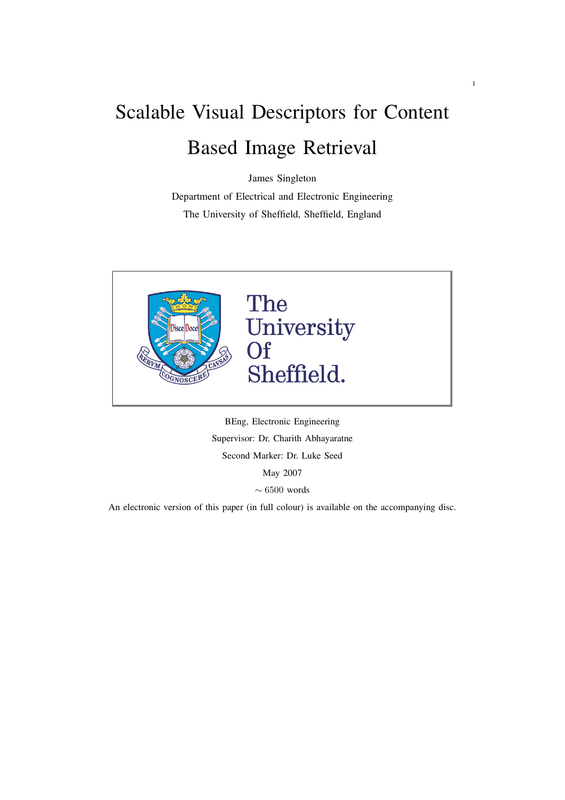 This project investigated the effects of scaling images with JPEG2000 emulation software on a CBIR system based on MPEG-7. 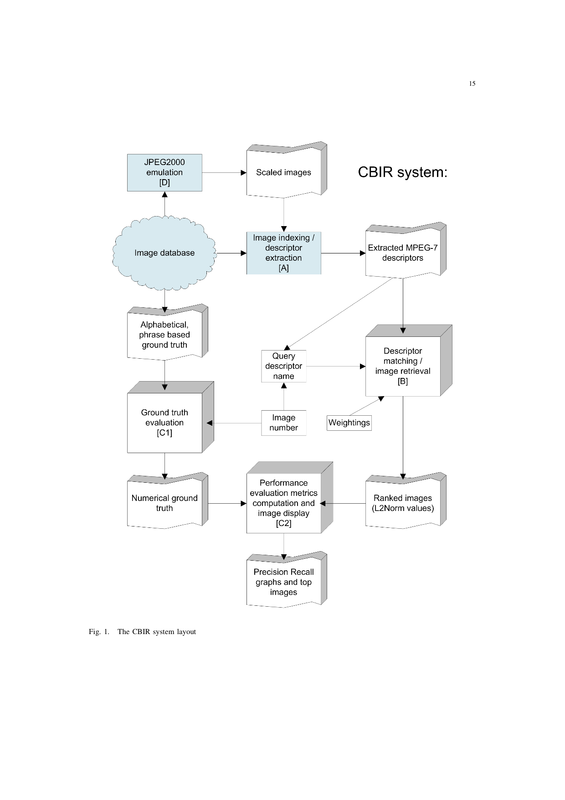 A CBIR system was built that consisted of indexing and retrieval. The performance of the system was evaluated with standard metrics. Various different versions of images were created with a process that simulates the behaviour of JPEG2000 with a wavelet transform. The resolution and compression quality of a selection of images were reduced and then MPEG-7 descriptors were extracted from them. The descriptors for various resolutions and qualities for the same image were then compared. Three MPEG-7 descriptors were used. They were the colour layout descriptor, scalable colour descriptor and edge histogram descriptor. It was found that as the resolution and quality decreased, the descriptors became less similar to the originals; a trend which all descriptors were observed to follow. The colour layout descriptor was found to be the least sensitive to changes in resolution and quality. It was found that not all of the data from an image is required in order to generate descriptors that can be used in image searches. The results of these searches, although not as good as ones done with the original images, provide satisfactory image matching. Reducing the amount of data could be useful in environments where bandwidth or storage are scarce, such as is the case with mobile devices. Further work, expanding on these findings, has been recommended.